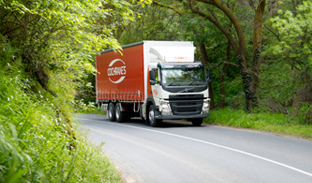 From very early on, we recognised that with success comes corporate responsibility. That's why we are proud to offer support and services to several key charities, with a particular focus upon children in need. Variety SA is dedicated to empowering South Australian children who are sick, disadvantaged or have special needs to live, laugh and learn. With the help of dedicated volunteers and generous individual and corporate supporters, Variety offers freedom, care and a future for South Australian kids in need. 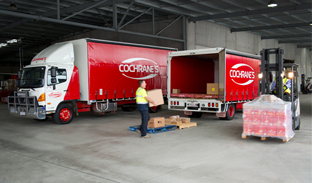 Cochrane’s has been a major sponsor of the Variety Bash for more than 12 years, providing financial and in-kind support including supplying a semi and rigid truck that serve as the event’s Bag Trucks. Peter Cochrane has been actively involved with Variety for over 20 years and currently serves on the Board of Variety South Australia. His portfolio includes the Sunshine Coach and People Mover Program that sees families and schools provided with specially equipped vehicles. We encourage you to visit the Variety website to see the good work that they do in our community and consider offering your own level of support or involvement. Raising Literacy Australia has a goal of "enriching Australian lives through literacy". The Little Big Book Club's programs are about getting the most out of sharing a book and starting a reading journey with children from the earliest age possible. Reading, talking, singing and playing are all important ways that children learn. Each year in November the Little Big Book Club team packs and distributes 63,000 reading packs to families in SA that have a baby, toddler or preschooler. This distribution includes some of the states most vulnerable children and families in need of support. 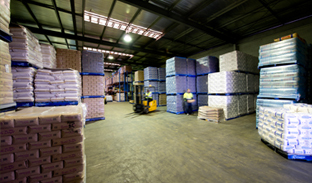 Cochrane's is proud to support these activities through the provision of warehousing, pick/pack operations and statewide distribution services. Please take a moment to see and understand the work that The Little Big Book Club does in our community and ways that you may be able to contribute. Since its inception in 1933, the Sunday Mail Blanket Appeal has been raising monies to provide blankets to charitable organisations, who then distribute them to families and individuals in need. Cochrane's has been proud to support this appeal for over a decade through the provision of services to distribute some 2,000 new woolen blankets each year. For further information about donations to this critical cause, please visit the Sunday Mail Blanket Appeal website.